Weekly private voice lessons and coaching, focusing on advanced classical technique and voice-appropriate repertoire. You will study and have numerous coaching sessions with instructors who have advanced degrees in music and are actively engaged in professional teaching and performance. Opera Workshop Company is your opportunity to participate in staged performances featuring the repertoire of opera and operetta, including solos, small ensembles, and chorus scenes. Scenes are selected and tailored to the students' ability and experience. The workshop culminates with public performances. 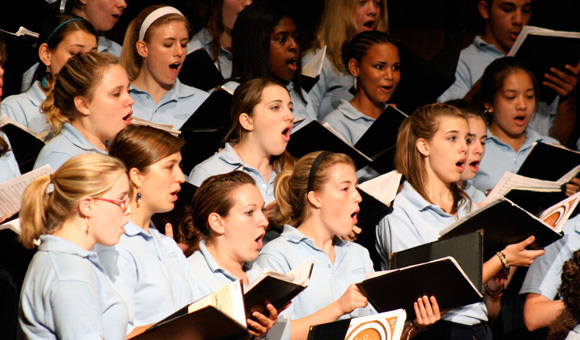 The World Youth Honors Choir (view 2019 repertoire) or the Interlochen Singers (view 2019 repertoire), provide a rich ensemble experience. You will hone your ensemble abilities through extensive rehearsal and performance experience, including at least one major choral work with orchestra. 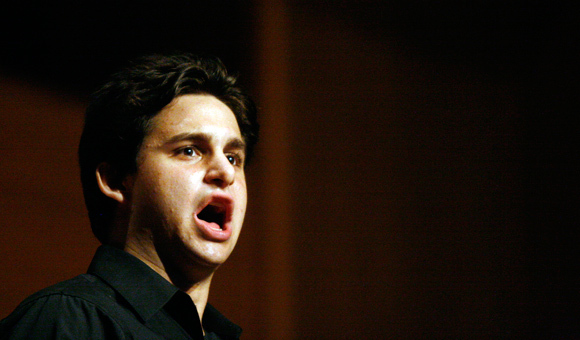 Master classes with distinguished guest artists complement the curriculum. Recent master class guest teachers have included Carmen Pelton, Salvatore Champagne, Kenneth Cox, Sylvia McNair, Richard Fracker, and Nathan and Julie Gunn, among others. Studio and honors solo recitals will provide you important experience in the art of recital comportment, song memorization, characterization, recital artistry, and public performance. Classes for singer skills will include: music theory, including both the written and aural aspects; music history, taught with a special emphasis on vocal literature and performance; and acting, to prepare you for the challenges of dramatic presentation. Vocal repertoire from a number of periods and composers. Stage direction, in which you will learn staging, interpretation, and direction skills, and have the opportunity to stage the songs of fellow class members. Audition skills will instruct you about college, university and conservatory music programs, and provide intensive instruction in auditioning, culminating in mock auditions. Alexander Technique ideas, concepts, and techniques are presented to help you have a long and healthy singing life. Make-up Skills for the stage (both basic and advanced) are presented. 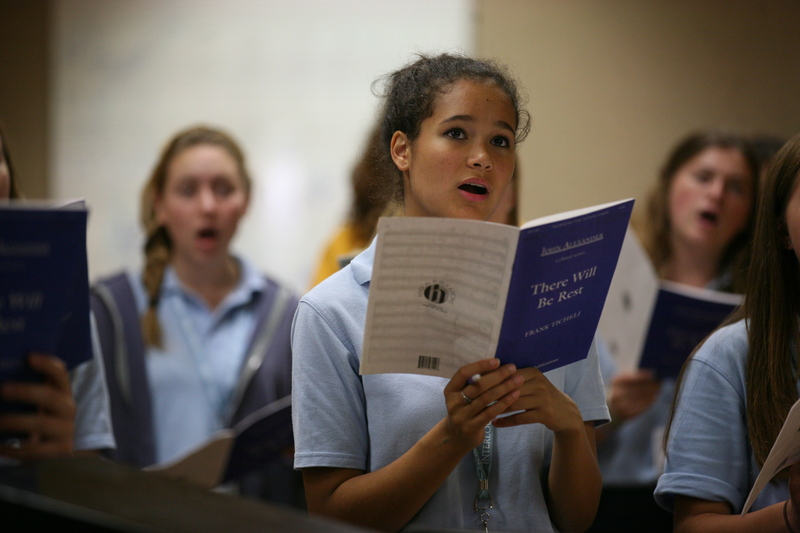 With the focused nature of this program, the vocal students do not take electives outside the music curriculum. However, Interlochen offers many opportunities to enjoy student, faculty, and guest artists presentations in variety of art forms. Students may compete for the opportunity to perform a concerto with one of the high school division's full orchestras or wind symphony. Learn more about the concerto competition. 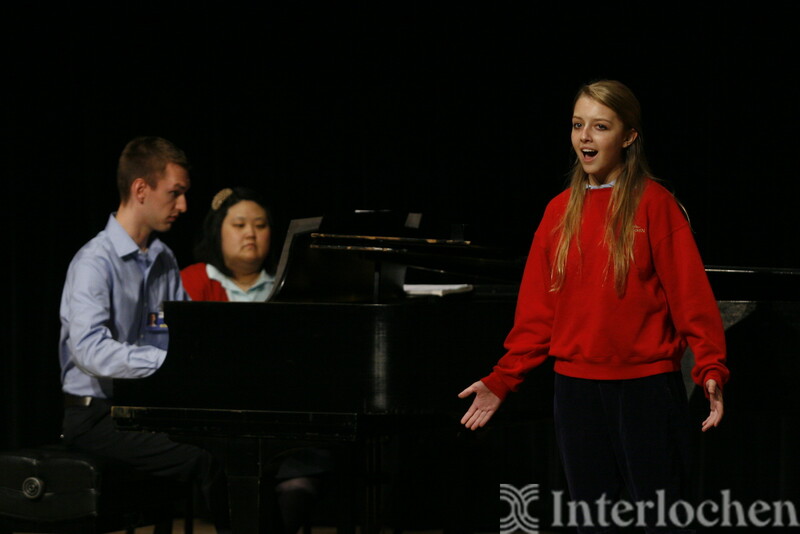 Students are encouraged to take advantage of the artistic diversity here at Interlochen, and enjoy presentations in theatre, music, dance, visual art, creative writing, and film. And each summer, we present an impressive lineup of world-renowned classical, jazz, and popular guest artists. "These past six weeks have been the best of my entire life, where I have learned so much about not only about singing, but about myself and knowing this is something I want to do. Thank you from the bottom of my heart for all that you do." - A.B. "I learned so much and was given the opportunity to work with incredibly talented and helpful teachers. Thank you so much for allowing me to experience this." - L.P.
"I can honestly and proudly say that this is been one of the best summers of my life. Watching myself grow so profoundly as a person and as a musician has been an experience I will carry with me for the rest of my life. You have an amazing program here at Interlochen, and while I'm saddened that my time here is almost up, I know that the six incredibly short-seeming weeks of show me exactly why the word Interlochen means so much to so many people." - J.D. "Thank you so much for an incredible six weeks, you run the finest vocal program I've ever attended or heard of." - E.S. "Thank you again for this marvelous summer where I have grown and discovered what it is to be an artist." - G.D.
"I love the high school Vocal Arts Program. Thanks so much for giving me the chance to rediscover what I love." - A.S.
"The amount I have learned here is amazing, and I feel immensely more prepared for my upcoming auditions this school year. 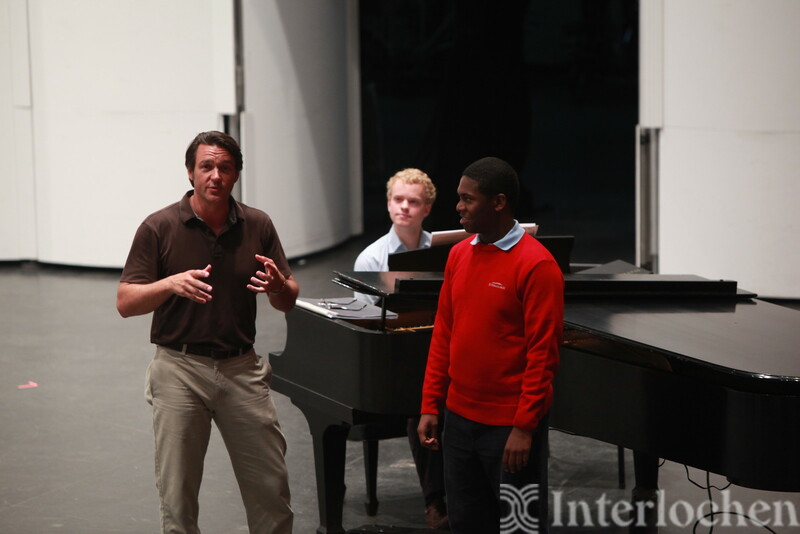 Interlochen is such a wonderful and fantastic place and I’m so thankful that I got to spend my summer here." - M.W. "Thank you for rekindling my musical passion and drive. 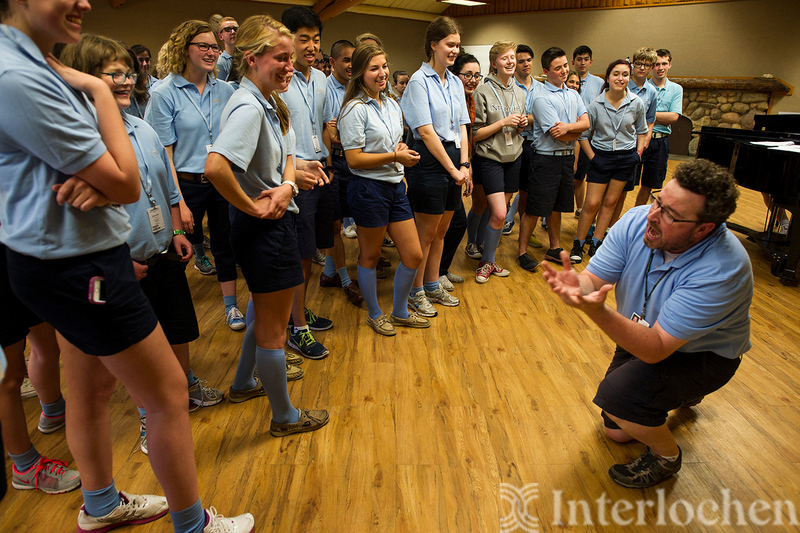 Here at Interlochen, every day is full of new knowledge and friendships that will last forever." - M.H. "My love for music and singing has skyrocketed from being here. Hearing constant music and learning from the best teachers has really made me work hard, and I think I’ve gotten much better. Thank you for an eventful summer. I will treasure this summer forever and thank you for allowing me into this program." - S.M. "At the beginning of camp, when you told us that Interlochen would change peoples lives, I wasn’t sure if I’d be one of those people. But now at the end of our six weeks, I can most definitely say that I am. Thank you, as I dive deeper into the world of music." - M.W. 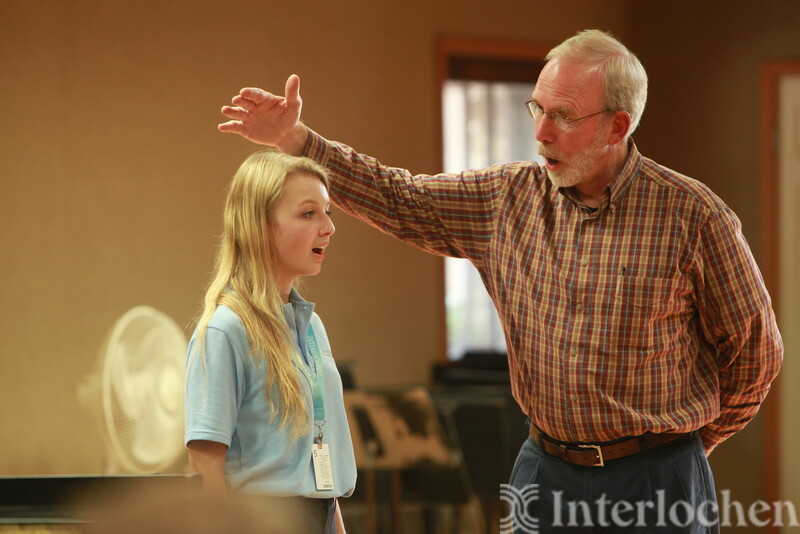 "Interlochen is a place that is truly magical and to come here was an honor." - K.M. Video files #1 and #2: select, memorize and record two classical music selections. No musical theatre pieces. Pieces should include piano accompaniment. Students will sing and will be placed into the appropriate choral and operatic experience. 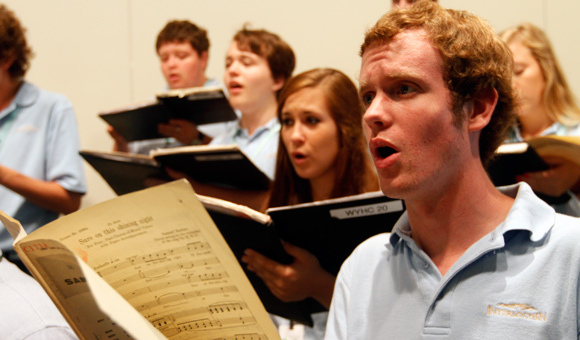 Accepted students are required to arrive at camp with three memorized performance-ready classical pieces, at least one of which should be in a language other than English. 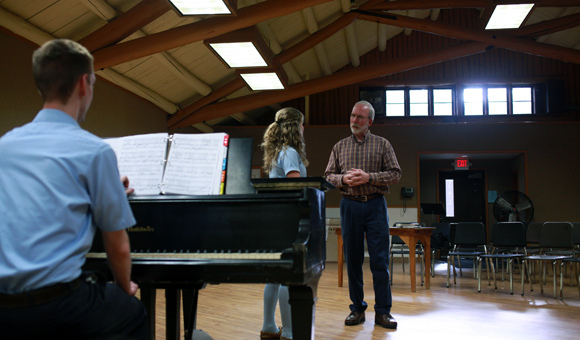 Interlochen is also home to the Arts Academy boarding high school, which offers a vocal music major for grades 9-12, as well as a post-graduate year.